The new Nexus smartphone is being launched by Samsung and is headed for T-Mobile here in the United States. Samsung and Google deliver Nexus S, the world’s first handset to feature the latest version of Google’s Android™ platform. Powered by Android 2.3, Gingerbread, this smartphone is packed with powerful technology and the latest in hardware features. Featuring both superior functionality and a stunning user-experience, the Nexus S has a brilliant Super AMOLED touch screen that provides a premium viewing experience. The 4-inch Contour Display has a curved design for a more ergonomic style and feel when held to the user’s face. Powered by a 1 GHz Hummingbird processor, Nexus S produces rich 3D graphics, faster upload and download times and supports HD-like multimedia content. In addition, Nexus S features a gyroscope sensor to provide a smooth, fluid gaming experience when the user is tilting the device up or down or panning the phone to the left or right. It also comes with 16 GB of internal memory. Nexus S features Near Field Communication (NFC) technology, which allows users to read information off of everyday objects like stickers and posters that are embedded with NFC chips. It’s also equipped with a 5 megapixel rear facing camera and camcorder, as well as a VGA front facing camera, and features a new and improved keyboard with multi-touch support, Internet calling (VoIP/SIP support) and a clean new user interface. This powerful smartphone also includes popular Android features such as portable Wi-Fi hotspot, true multitasking and access to Google mobile services such as Google Search™, Gmail™, Google Maps™ with Navigation, Voice Actions, Google Voice™ and YouTube™, and access to over 100,000 apps and widgets on Android Market™. The Samsung Nexus S will be going on sale at T-Mobile on December 16 for $199 with a new 2-year service agreement. You can also purchase the Nexus S from Best Buy as an unlocked phone for $529 according to AndroidCentral.com. 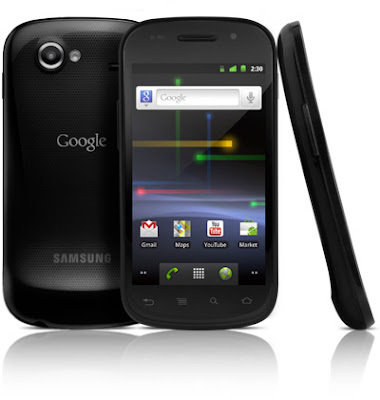 To learn more about the Nexus S, visit the Samsung or Google Nexus S websites.